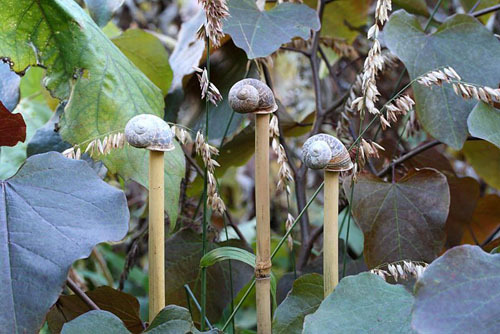 Snail shell cane toppers are very quick, simple to make and look more natural than the plastic ones available. 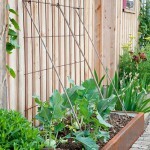 Sharp ends of bamboo canes can be dangerous to your eyes and face when bending over to work in the garden and some vegetables need protecting by using bamboo canes, cane toppers and netting. 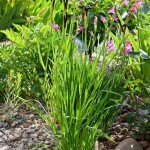 They can also be useful to mark where you have planted things in the garden or just used simply as decorative focal points. Take a look at this feature, by clicking here. This entry was posted in Garden craft, Style notebook on February 29, 2016 by gapadmin. The current owner took on the 99 year lease from the National Trust in 1993, and it has been run as a private garden since. Marylyn Abbott’s style claims to be lavishness, with the aim of delighting the many visitors each year. She revels in excitement, innovation and comedy to promote the unique atmosphere of West Green. 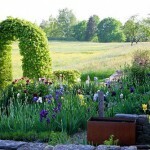 The various areas include The Dragon Garden, The Alice Garden, The Walled Garden, the Lake Field and The Paradise Garden. 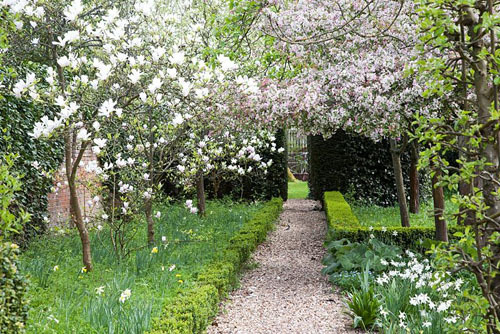 In spring there are splashes of colour from Tulipa, Narcissus, Fritillary, Magnolia and blossom. There are also dramatic evergreen topiary structures and intriguing details around every corner. To view this feature in full click here! 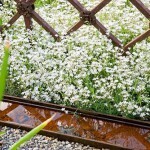 This entry was posted in My favourite, Seasonal, Spring on February 25, 2016 by gapadmin. 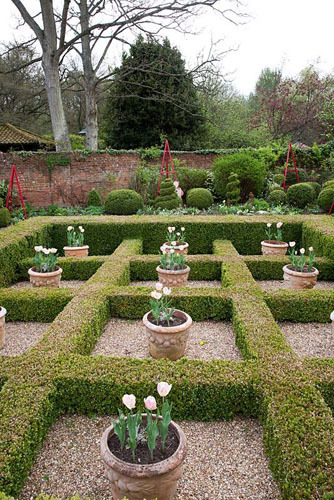 This lovely private garden belongs to a couple, both of whom are landscape designers. 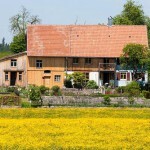 Situated on the top of a hill with the Alps in the background, it is in an open position next to wildflower meadows with a wide view to the landscape and surrounding villages. 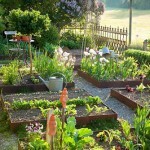 There vegetable beds are a combination of traditional and contemporary design, made with corten steel. Dry stone walls form the terracing for different levels of the vegetable garden with seating areas to the south and an ornamental garden on the north side of the house. Click here to view this feature in full. This entry was posted in My favourite, Seasonal, Spring on February 22, 2016 by gapadmin.